The following song is by Malcolm Campbell, a native of Luing, now deceased. It used to be in vogue in the days when the Highland Association of Glasgow gave encouragement to Gaelic singing in that city. It is one of the test Lorn songs to be sung at next Mod. 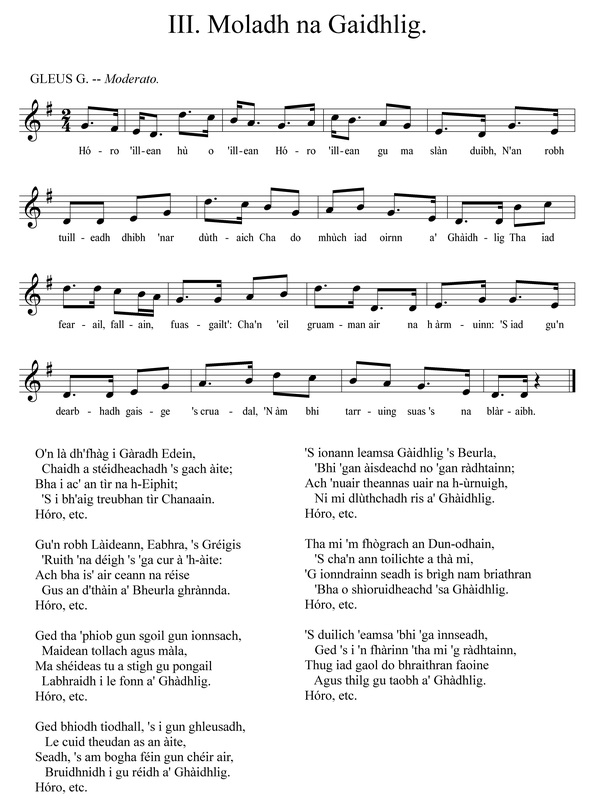 The tune is a variant of that which the Glasgow Gaelic Musical Association sings “Tha e tighinn,” by Mac Mhaighstir Alasdair.